Are you sure you want to remove Life and public services of John Quincy Adams from your list? 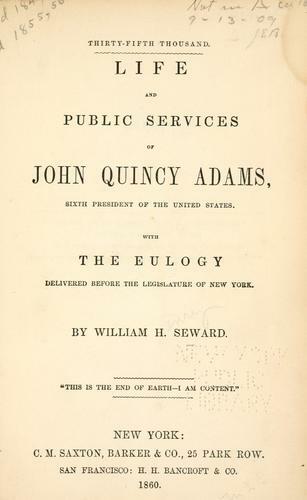 Life and public services of John Quincy Adams: sixth president of the United States: with the eulogy delivered before the Legislature of New York. Life and public services of John Quincy Adams: sixth President of the United States. 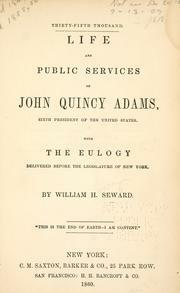 Life and public services of John Quincy Adams, sixth President of the United States: with the Eulogy delivered before the legislature of New York.